Listen in as we interview actor Griffin Gluck from the film Middle School: Worst Years of my Life and President Marketing/Consumer products for Genius Products, Stone Newman on Thomas Edison’s Secret Lab: Twas the Night Before Liftoff, and review the films Rogue One: A Star Wars Story and Sing. 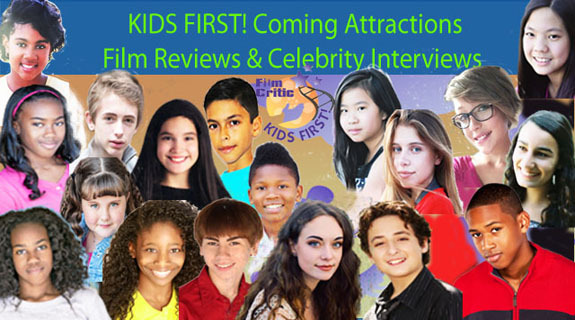 Hosts Gerry Orz and Morgan Bertsch are joined by KIDS FIRST! Film Critics Ryan and Nathaniel. Before you spend your hard earned dollars at the movies, be sure to listen to what our youth reporters have to say. Listen in as we review the films Thomas Edison’s Secret lab: Twas the Night before Liftoff, Hidden Figures, The Little Prince: Planet of Gargand and My Little Pony: Equestria Girls – Legend of Everfree. Hosts Brianna Hope Beaton and Keefer Blakeslee are joined by two of our newest KIDS FIRST! Film Critics, Talia and Rohan. Before you spend your hard earned dollars at the movies, be sure to listen to what our youth reporters have to say. You are currently browsing the KIDS FIRST! Radio weblog archives for December, 2016.